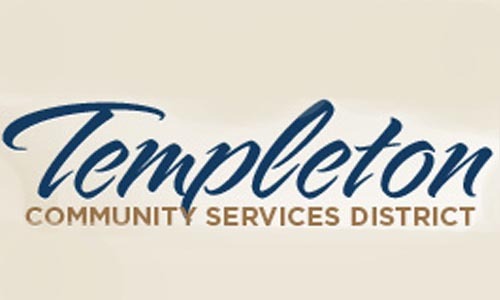 –The Templeton Community Services District is developing a new, drought-resistant water supply to meet seasonal and projected annual demands. The project, called the Upper Salinas River Basin Conjunctive Use Project (US-CUP) will capture existing wastewater flows that are currently being discharged outside of the Atascadero Basin, and return these east-side area wastewater flows back to the Meadowbrook Wastewater Treatment Plant (MWWTP) for treatment, discharge and subsequent retrieval of water from District wells downstream. The infrastructure improvements include the construction of two new lift stations and approximately 16,800 feet of sewer pipeline to capture and redirect East Side flows to the west side collection system. From there, additional upgrades needed to convey the flows to the MWWTP include upgrading the West side Lift Station, and finally upgrading the MWWTP headworks at the Meadowbrook Wastewater Treatment Plant (MWWTP). These project components are together named the Upper Salinas River Basin Water Conjunctive Use Project (US CUP). The construction contract for the East Side Force Main and Lift Stations (ESFM) component of the project was awarded to Specialty Construction on February 22, 2018 and construction is anticipated to be complete by the end of December 2018. The Ground-Breaking Ceremony will be held on Friday, June 8 at 10 a.m. at the corner of Old County Road and Main Street, Templeton. Assemblyman Jordan Cunningham and honored community leaders are expected to participate in the ground-breaking ceremony. For more information contact Assistant to the General Manager, Laurie Ion at (805) 434-4900 or ion@templetoncsd.org.